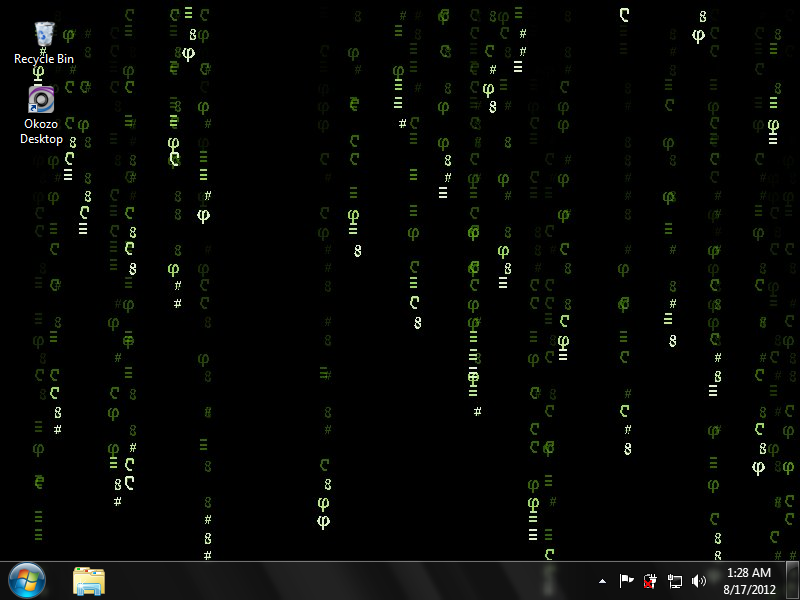 This animated desktop wallpaper takes inspiration from the blockbuster film 'The Matrix'. The matrix wallpaper appears in a similar fashion to the animated backgrounds in the movie. This animated desktop wallpaper takes inspiration from the blockbuster film 'The Matrix'. The matrix wallpaper appears in a similar fashion to the animated backgrounds in the movie. Lines of dynamic green code run down a black desktop background at random to create a very cool theme for your desktop. A low-resource, lightweight animated desktop wallpaper. Safe and signed installer.